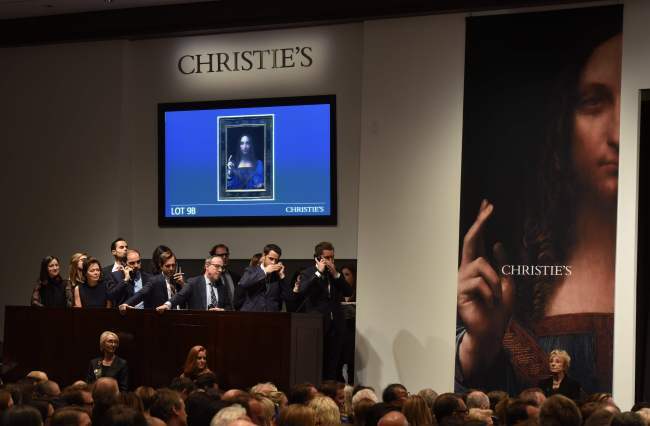 NEW YORK - A 500-year-old work of art -- believed to be by Leonardo da Vinci and depicting Jesus Christ -- sold in New York on Wednesday for $450.3 million, smashing a new art auction record, Christie‘s said. The whopping price dwarfed the previous record for the most expensive piece of art sold at auction, set at $179.4 million for Pablo Picasso’s “The Women of Algiers (Version O)” by Christie‘s in 2015. 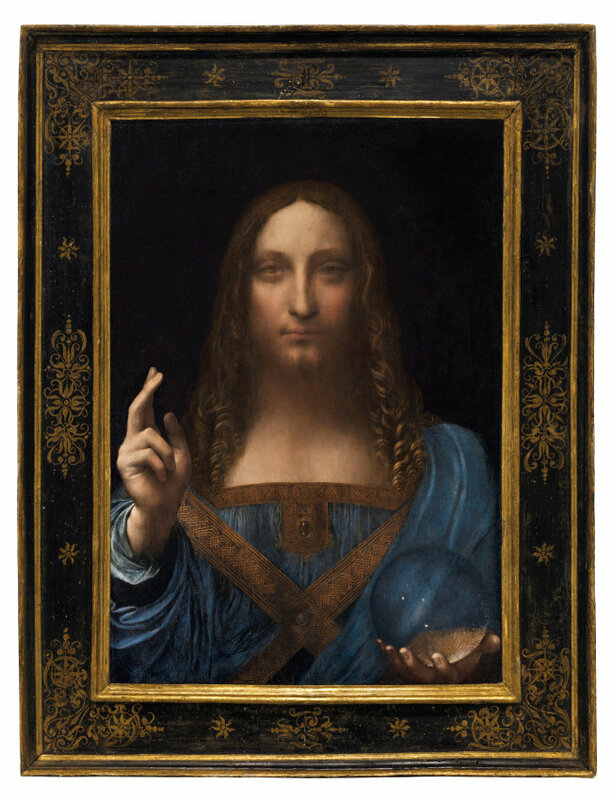 The auction house says “Salvator Mundi” or “Savior of the World” is one of fewer than 20 Da Vinci paintings in existence that are generally accepted as from the Renaissance master’s own hand. Dated back by the auction house to around 1500, the oil on panel sold after 18 minutes of frenzied bidding in a historic sale, the star lot of the November art season in the US financial capital. Whoops and applause rippled through the showroom as the bids quickly escalated into unchartered territory, led by rivals on the telephone. “An historic moment here. We‘ll wait,” said auctioneer Jussi Pylkkanen in a brief pause in bidding at $300 million. He eventually hammered the painting at $450 million. The final price came to $450.3 million including the buyer’s premium. The price throws shade at its Russian billionaire seller, who has sued a Swiss art dealer in Monaco for allegedly swindling him into parting with $127.5 million for the work in 2013. Dmitry Rybolovlev, the boss of soccer club AS Monaco, accuses Yves Bouvier of conning him out of hundreds of million dollars by overcharging him on a string of deals, and pocketing the difference. “Salvator Mundi” has been at the heart of that court battle. Bouvier bought the work at Sotheby‘s for $80 million in 2013. He resold it within days to the Russian tycoon, for $127.5 million, netting a $47.5 million profit. Bouvier denies any wrongdoing. The work was exhibited at The National Gallery in London in 2011, after years of research trying to document its authenticity after it was found, mistaken for a copy, in a regional US auction in 2005. Before that it had disappeared for years, previously fetching a mere 45 pounds ($60 in today’s money) in 1958 as a believed copy. Christie‘s said pre-sale that the painting’s rarity was difficult to overstate. For years it was presumed to have been destroyed, emerging only in 2005 when it was purchased from a US estate.